As part of outreach activities with Leeds Met University, Carbon periodically mentors undergraduate students, setting a brief for an innovative project or research problem and overseeing their work throughout their final year. 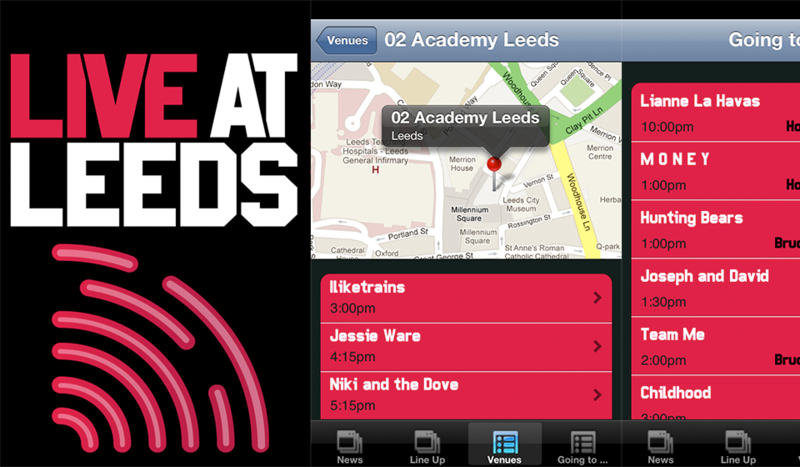 In late 2011, working with the Live At Leeds festival, Carbon co-authored a brief to develop a mobile app for music fans experiencing the festival weekend in May 2012. Over the course of six months, Carbon mentored Adil in working with a client, developing personas, prototyping user experiences, architecting a backend and engineering the final app.